Hello everyone, dear lovers of iOS gadgets. Today we will touch on the topic - how flash iPhone (4s, 5, 5s, 6) or iPad (2, 3, 4, Mini). Reflash means upgrade, reinstall the operating system on your iOS device. The process of updating a mobile iOS gadget may be needed if you experience various problems with the iPhone (4s, 5, 5s, 6) or iPad (2, 3, 4, Mini). Re-flashing may solve some problems if your gadget is unstable. Download file with firmware. At this stage, you will need to select and download the file with the required firmware versions for your iPhone (4s, 5, 5s, 6) or iPad (2, 3, 4, Mini). In principle, you can: how to install an updated version of the operating system, and return the old version (but not too old). Just want to say that to return the old version of iOS (older iOS 7) will not work, because Apple has ceased to sign and activate earlier versions of iOS. Setting iTunes to work. You will be able to reshuffle your device using iTunes. This program is used to manage your iPhone (4s, 5, 5s, 6) or iPad (2, 3, 4, Mini) from a personal computer. The program is very easy to use and is distributed free of charge. Flashing. Well, actually, the process of flashing. The program will do most of the work for you, you just have to sit and look at the process of flashing your gadget. So let's take a closer look at each of the above..
Go to the site www.getios.com. In the field "Your device" select the name of your device. In the second step, you need to select a device model. To select, use the drop-down list with the name “The Model”. In the third step, you need to select the version of iOS OS you want to install on your iPhone mobile gadget (4s, 5, 5s, 6) or iPad (2, 3, 4, Mini). Next, click the “Download” button. The download of the file with the firmware will begin, the file size, depending on the selected iOS version, may take several gigabytes. Save the downloaded file with the operating system on the desktop or in the folder in which it will be convenient for you to save. First of all, follow the link - apple.com/itunes/download and download the latest version of iTunes. Run the downloaded file with the program and install the program. Connect your gadget to a personal computer using a USB cable. Launch iTunes. In the side menu (if the side menu is not visible, you need to press the CTRL + S key combination) in the Devices field, select your gadget, which was previously connected to a personal computer. Connect the gadget to a personal computer using a USB cable. 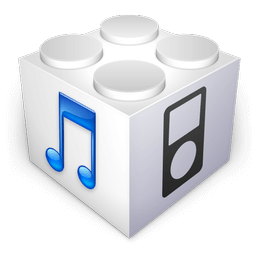 Start iTunes (if the program does not start automatically after connecting) and in the side menu (if the side menu is not displayed, you simultaneously press the CTRL + S key combination) select your iPhone (4s, 5, 5s, 6) or iPad (2, 3 , 4, Mini). Go to the “Overview” tab, find the “Create a copy now” button and click on it with the left mouse button. In the next step we will go to the lesson and try to reflash your gadget.. Hold down the SHIFT key (if you have Windows) or ALT (if you have a Mac) and left-click on the “Restore iPad” button. In order to reflash the device, in the opened window select the file with the firmware downloaded earlier. After the above steps, the software update process will start on your iPhone (4s, 5, 5s, 6) or iPad (2, 3, 4, Mini) mobile gadgets. After a certain amount of time, the process of flashing your iPhone or iPad (2, 3, 4, Mini) will be completed. Today, this is all, I hope this small note helped you and you were able to easily flash your mobile iPad gadget (2, 3, 4, Mini) or iPhone (4s, 5, 5s, 6). If you have any problems when flashing the gadget, you can describe your problem in the comments to this post. In order to be able to leave comments you need to log in to the social network Vkontakte.